Bitcoin the technology and bitcoin the digital currency are amazing in every way except when it comes to accounting and managing bitcoin tax compliance. (At least for the time being) There's some amazing bitcoin tax calculator software available, but the following challenges remain nonetheless. If you only had one bitcoin wallet and you only used bitcoin and no other digital currency, then your tax calculations should be fairly simple. However, on the other end of the spectrum if you have dozens of digital currency wallets and dozens of altcoins with trading, spending and income related transactions, then you have a cluttered complex crypto landscape. The IRS bitcoin stance was clarified in IRS Notice 2014-21. Bitcoin taxation is like any capital asset such as stocks, bonds and collectibles when you buy bitcoins or sell them. If you buy bitcoin for $500 and later sell it for $800 then you have a $300 capital gain. Bitcoin sold more than a year later results in a long-term capital gain and bitcoin sold less than a year later results in a short-term capital gain. This is a gift for anyone with huge unrealized gains while creating the coffee problem for every purchases. Gathering, organizing, importing, reviewing, exporting and recording crypto transactions can be a challenge for calculating bitcoin capital gains as well as accounting for income and expenses transacted in bitcoin. It's a tiny inconvenience for the privilege of using 21st century money. NOTE: Bitcoin and altcoins are synonymous with tokens, digital currency or cryptocurrency in the context of this blog. Examples of altcoins include Ether, NXT, Dash, Bitshares and hundreds more. Any coin other than bitcoin is an altcoin. When bitcoin is used in the normal course of business transactions, capital gains and losses are calculated and bitcoin is translated to US dollars using the bitcoin price at the time of the transaction. The US dollar amount is also used to record income, expenses, asset purchases, loans and more for your business accounting which businesses have to do in addition to calculating bitcoin capital gains. Individuals ONLY have to calculate capital gains and losses. Should I try to figure this out or hire a Bitcoin CPA to calculate my bitcoin taxes? That is the proverbial question you will have to answer for yourself. The more complex your bitcoin taxes the more likely you'll need to hire an expert. Fortunately, we created several solutions at The Ultimate Bitcoin Business Series including self-guided courses and done-for-you solutions. Obviously, the more complex your bitcoin transactions the more expensive it is to calculate taxes. The cost of getting your bitcoin taxes calculated is in no way correlated to the amount of your tax liability. For example, let's say you or your company hires a professional for $1,000 for a fairly complex crypto tax scenario with $50,000 worth of transactions resulting in a long-term capital loss of $4,700. Only $3,000 can be deducted in the current tax year which reduces taxes by $600 assuming a 20% marginal tax rate. Therefore, you have to spend $1,000 to save $600 but you never know until the work is done. Let's also assume the $1,000 fee only covers the bitcoin tax calculation and not the rest of the tax prep. 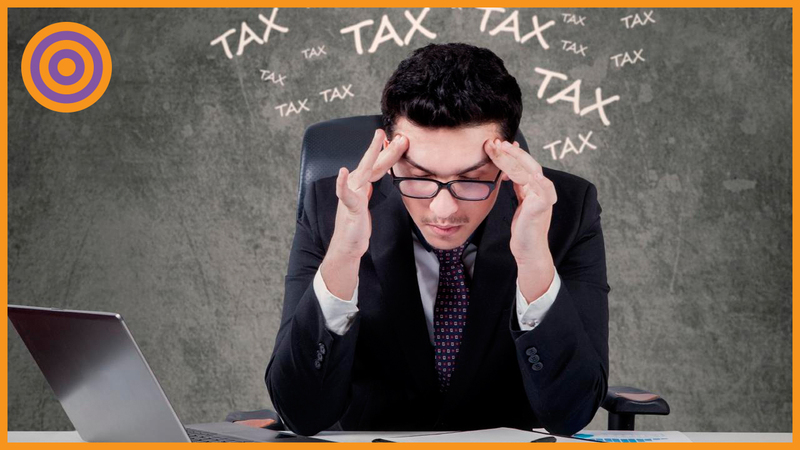 You are out a net $400 to calculate a tax liability in the IRS' favor, which means the IRS would benefit from you not reporting the long-term capital loss. This unique crypto tax brainteaser becomes cost prohibitive for the average taxpayer. On the other hand, let's assume all the facts above except you end up with a $100 short-term capital gain. This would increase your tax liability by $20 assuming a marginal tax rate of 20%, therefore you spent $1,000 to determine you or your company owes another $20 in tax. These are extreme examples; however, it demonstrates the importance of minimizing the drivers of tax complexity whenever possible. These are just a few golden nuggets you can put to good use. You should also get your copy of my bitcoin guide for taxes and business in paperback, ebook and audiobook for more in depth coverage. Ultimately bitcoin tax calculator software will do the heavy lifting for calculating taxes in a reportable format for the IRS or your tax jurisdiction. It would otherwise be impossible to make these calculations without specialized software. You have to do the groundwork to reel your crypto transactional landscape into the tax software. Your unique situation will determine which software is the best fit. A more in depth analysis of the benefits of these platforms will follow in another blog post. Getting all your transactions into the software does not mean they are coded correctly. Only you can determine proper coding such as income, expense, asset purchase, transfer, gift etc. The bitcoin tax software is NOT a magic wand because of the nature of bitcoin transactions. For example, if you send bitcoin from one wallet to another, it should be coded as a transfer but it may get picked up initially as income. The software will always calculate perfectly you just have to help it along. Good luck.